What happens if foliage or trees create a condition, like a blind spot, which results in a traffic accident? All too often, Florida car accidents are caused by the sudden mistake of a single driver. However, negligent drivers rarely admit the accident was their fault and usually blame someone else or some condition that was beyond their control. In some instances, an at-fault driver’s finger-pointing at a third party may be justified because a third party, like a private property owner, may share the financial responsibility for an car accident victim’s damages. This can happen where a property owner fails to maintain their trees and foliage which can spill over and create a blind spot to drivers on the road. In these situations, both the third party and the at-fault driver will bear a share, in varying degrees, of responsibility as the proximate cause of the car accident. Meaning, each will have to pay their percentage of a victim’s damages like medical expenses, pain and suffering, lost wages, etc. because it was foreseeable that the condition on their property could cause or contribute to a car accident. How much the driver pays and how much the third party must cover in the damage claims will depend upon each party’s determined level of fault (in a car accident lawsuit, this determination is made by the jury). The key issues here are causation and foreseeability. Is it foreseeable that the condition (the trees and foliage) on the owner’s property could cause a car accident? A property owner can be held liable for a traffic accident if their landscaping and foliage creates a blind spot, or otherwise blocks the drivers’ view of the roadway. The argument is based upon the theory that the landscaping in some way interfered with the motorist’s ability to drive safely along the roadway and that it was foreseeable that the condition could cause a traffic accident. In these situations, the law imposes a duty upon a property owner to make sure that their landscaping does not create a dangerous condition for motorists that travel alongside their property. However, not every piece of foliage or tree can be the proximate cause or the blame for a traffic accident. Thus, each accident scene is different, and each scene must be analyzed independently to determine if an adjacent property owner bears any responsibility or if any duty has been breached. Read: Can fault in an automobile accident claim be shared between parties? What kind of trees, shrubs, plants, and greenery surround the area? Did any of the foliage come near to the roadway? If so, did it abut the street or road? Did the foliage extend past the property line or boundary into the right of way? Did the foliage block the view of drivers along the adjacent road? How long has this foliage been like this? Did a tree limb fall within the past few hours, or has a shrub been allowed to grow freely for months? Whether or not the property owner breach a duty to the motorists driving by their property. As a general rule under Florida law, private property owners are not under a legal duty to motorists on abutting roadways. Home owners can grow and maintain the greenery and foliage on their land as they desire. However, when their trees, shrubs, bushes, and plants extend past the boundary of their lot or acreage, things can change. 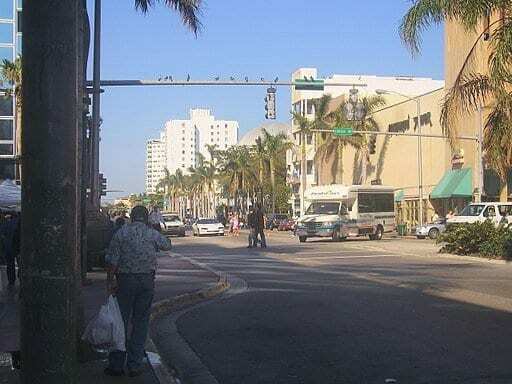 For example, the Florida Supreme Court has held that all Florida property owners owe a legal duty to drivers not to have foliage growing past the bounds of their property and into the public right-of-way, to avoid interfering with a motorist’s ability to travel safely on the adjacent roadway. Williams v. Davis, 974 So. 2d 1052 (Fla. 2007). In that case, Beverly Williams owned a home in Orlando that sat next to the intersection of Sidney Hayes Road and Pine Street. She had plenty of greenery and foliage in her front yard. Sadly, a woman named Twanda Green was on the job, driving a rental car from one rental car lot location to another. She was in a caravan of rental cars, fifth in a row of six vehicles. They were moving west on Pine, where there was a yield sign at the “T” intersection with Sidney Hayes. As Twanda Green turned left from Pine onto Sidney Hayes, she was hit by a dump truck and later died as a result of the accident. The Personal Representative of Twanda Green’s estate sued the dump truck driver, among others, as well as residential property owner Beverly Williams. She argued that the home owner was liable for damages because her landscaping had created a blind spot that blocked Ms. Green’s view of the approaching dump truck. In other words, she argued that if the greenery had not been there, or if it had been trimmed back, then Ms. Green would still be alive today. The same duty for maintaining foliage on private property in Florida applies to commercial property as well as residential property. In fact, business owners have been held responsible for car accidents caused by their foliage and landscaping which have caused “blind spots” on adjacent roadways several years before a duty was applied to residential property owners. Florida commercial property owners have been liable for traffic accidents caused by their foliage since 2001. In Whitt v. Silverman, 788 So.2d 210 (Fla.2001), a property owner unsuccessfully argued that because the car accident was not on their land, that they could not be liable for the victim’s damages. Their argument was based upon the “agrarian rule” which says a landowner is never responsible for anything that happens outside his property line, even if his foliage can be a contributing cause of an accident. See, Restatement (Second) of Torts § 363(1) (1965). The Florida Supreme Court held this rule was unjust. Applying that strict, absolute no-liability rule was not right when considering urban landowners and modern motorists (as well as pedestrians). So the Court chose to use the “foreseeability zone of risk analysis” instead. Whitt, 788 So.2d at 213. The court held that if the land owner has created a foreseeable zone of risk by the foliage that poses “a general threat of harm” toward (1) the patrons of the business as well as (2) those pedestrians and (3) motorists using the abutting streets and sidewalks, then a landowner can be liable for damages caused by a crash. Whitt, 788 So.2d at 222. In Whitt v. Silverman, the accident happened when a Florida woman named Jean Simoneau stopped at an Amoco service station in Miami Beach for a fill-up. As she was leaving the gas station, she was in a serious car accident. Ms. Simoneau collided with two pedestrians, one died from her injuries and the other person was seriously injured. Afterwards, the pedestrians filed personal injury claims against Ms. Simoneau as well as the owners of the Amoco Service Station. They argued that the gas station had a large “stand of foliage” growing between the station and the property next door. The foliage blocked the view of drivers and impaired the driver’s ability to see the sidewalk. Because of this greenery, Ms. Simoneau couldn’t clearly see the pedestrians and this condition was the proximate cause of the accident. Therefore, Amoco should be held liable for their damages. Amoco argued it was not liable for the car accident because the accident didn’t occur on its property or premises. The crash happened on the adjacent roadway, not on the gas station lot. The Florida Supreme Court considered how things had changed in society since that rule of no liability had been created. Looking to other courts, the court held that Amoco was relying on old law but that “modern conditions” and “prevailing negligence law” would not allow Amoco to escape liability for conditions on its property that were partly to blame, or the proximate cause, of car accident. Gas stations have lots of traffic moving on and off of their commercial property. Since Amoco had exclusive control over its landscaping on its property, it was not asking too much of Amoco to keep the foliage maintained so it allowed safe egress and ingress of motor vehicles into the service station. Amoco had a duty, which it likely breached, to protect those on or off the property that could be reasonably harmed by conditions on their property. Investigating each auto accident site and determining if there are others beside the driver who share responsibility for the victim’s damage is important. No two accidents are the same. An experienced Florida auto accident attorney who has spent much of his career dealing with car accident insurance adjusters and negotiating car accident claims understands each victim’s accident is unique and causation and foreseeability must be must be properly argued and proven to the trier of fact. Was there something on the adjacent land that contributed to the accident? Was there a blind spot caused by shrubs, branches, or bushes? Were the branches the proximate cause of the accident? Was the car accident foreseeable? A good piece of advice if you or a loved one are hurt or killed in a car accident is to speak with an experienced personal injury lawyer to learn about some of the issues that can arise with these claims, including the type of evidence needed to prove a claim and knowing how most car insurance companies respond to these claims. Most car accident lawyers, like Alan Sackrin, will offer a free initial consultation (over the phone or in person, whichever you prefer) to answer your questions.